Now it's complete, That loop just looks fun. I don't care about the top hat, just the loop. 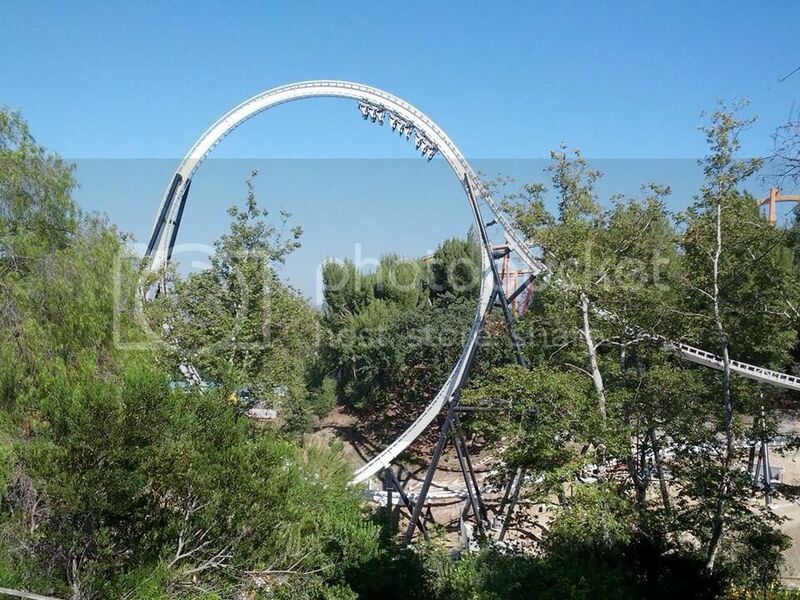 Full Throttle is now testing. Those trains look so open! If I go on this, it will have to be at the front of one of the cars. I can imagine front row would e very good on Full Throttle, I am still wondering how this coaster will work with more than 1 train on the main circuit. I agree there, would love to be able to ride that front row. That would probably end up as one of the few cases I've felt unsafe on a rollercoaster. I might ride this on opening day since I am passing by Magic Mountain, though I'll definitely go on it in July if June 22 doesn't work out. Has to be said, that looks pretty fun. Though my last post said this was only testing, This ride is now Open! Please continue all discussion in the new discussion topic.